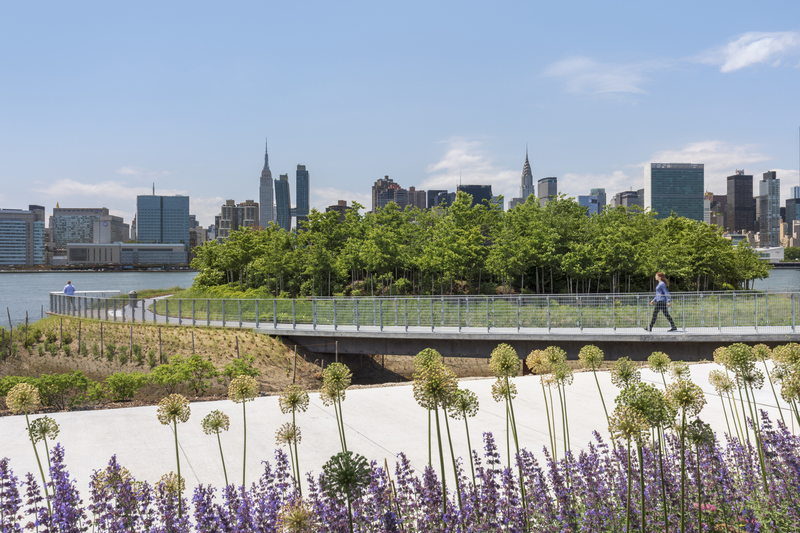 In Long Island City, nearly 11 acres of continuous waterfront park have bloomed along a formerly abandoned industrial landscape, offering a buffet of recreational opportunities while protecting the shoreline from floodwaters. 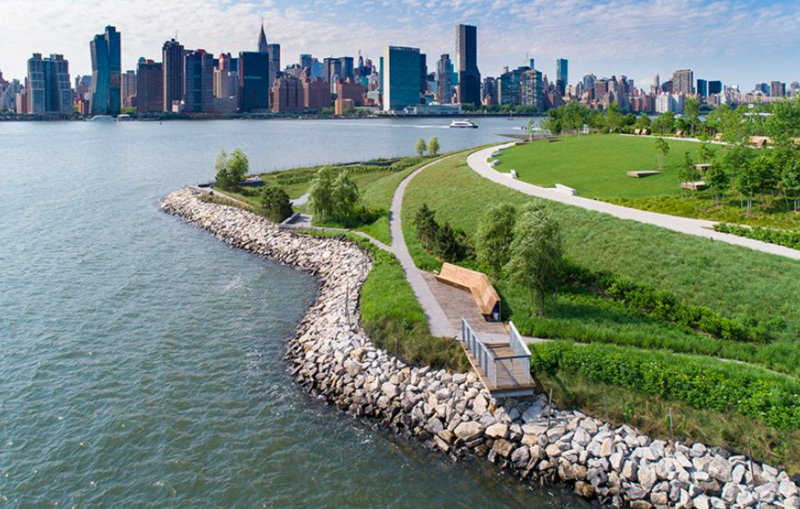 The second phase of Hunter’s Point South Waterfront Park, which begins south of 54th avenue and wraps around Newton Creek, is officially open to the public, adding to the features completed in 2013. 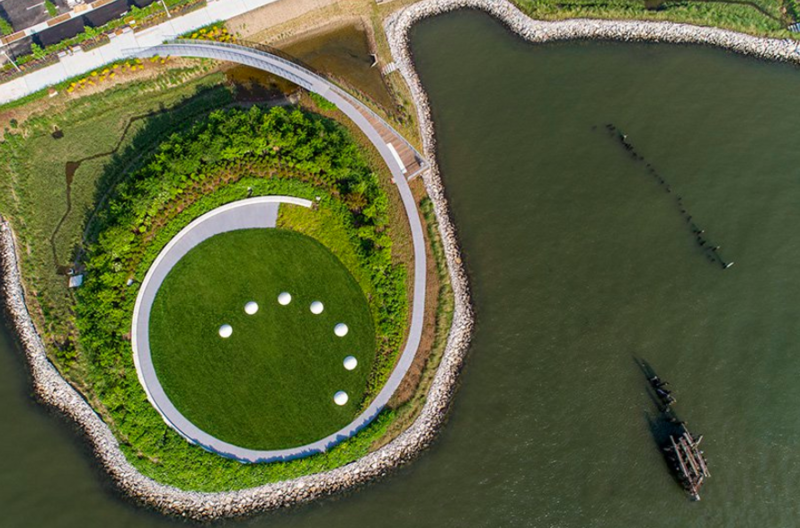 Architects Weiss/Manfredi call it “a new model for waterfront resilience,” an oasis of green that can act as a buffer in extreme weather conditions. 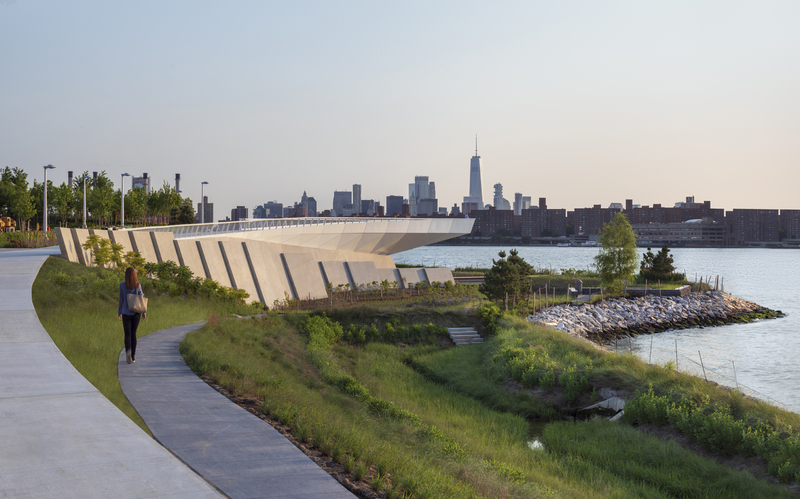 Completed in collaboration with landscape architect Thomas Balsley Associates, the park is set along the main retail corridor of Hunter’s Point and offers a beautiful spot to gather, stroll, bike, picnic, walk dogs, play basketball, launch kayaks and more. 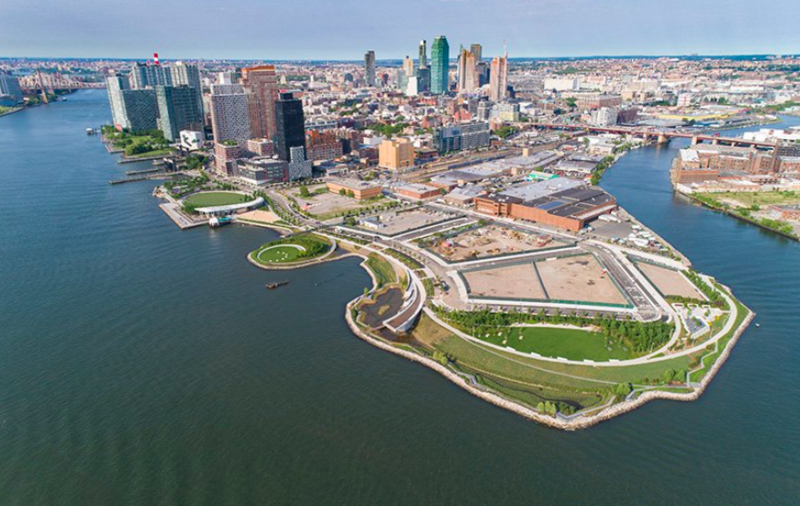 The park serves as a gateway to the new Queens West waterfront development, which is working to transform the larger, formerly contaminated industrial property along the East River into a thriving community with 11 residential buildings, retail, public streets, utilities and two public schools. The site of the park is a former railroad ‘cut’ that divided the neighborhood, Balsley explains. The new section features wetlands, pedestrian paths and a land art installation called ‘Luminescence’ by artist Nobuho Nagasawa depicting the phases of the moon. The sculptural cantilevered platform lets visitors gaze at the bustle and glow of Manhattan across the river. 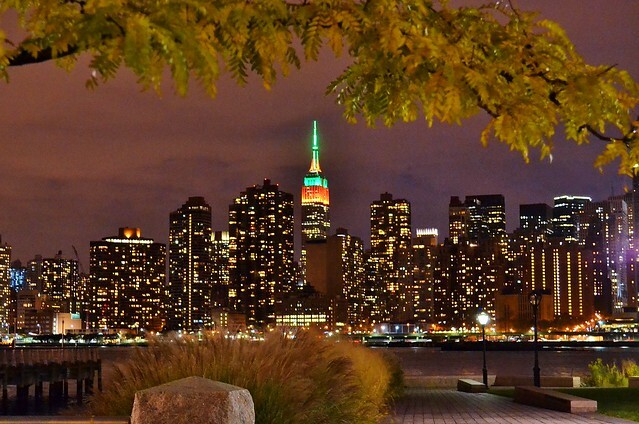 If Instagram is any indication, locals are eager to make use of all these new features in their neighborhood.